Ideal for the working percussionist! 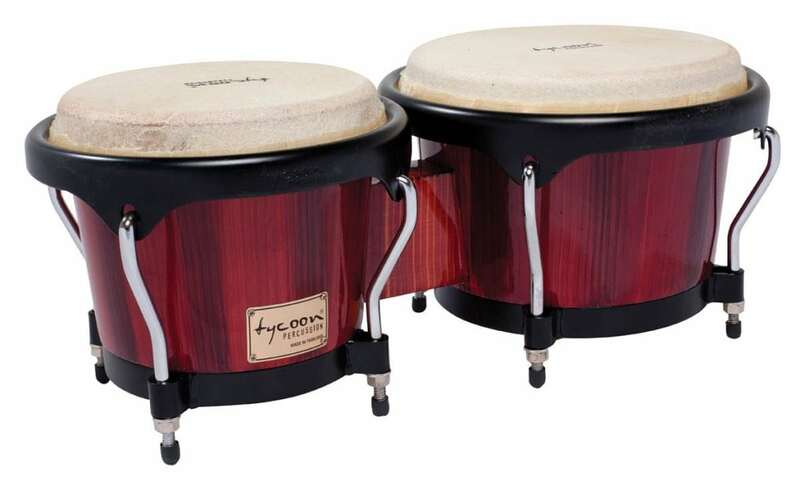 Constructed of hand-selected, aged Siam Oak wood, these bongos feature black powder-coated Classic Pro hoops and large 5/16 inch. diameter tuning lugs. They also feature high quality water buffalo skin heads, and a distinct, hand-painted super high-gloss finish. Tuning wrench included.